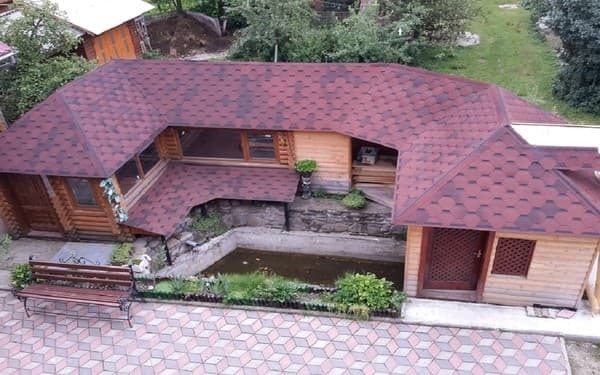 Private Estate "Yaroslav" consists of 3 floors. Rent 6 rooms, can accommodate 16 people at a time. On the ground floor there is a shop on the second and third 2-D and 3-bed rooms. 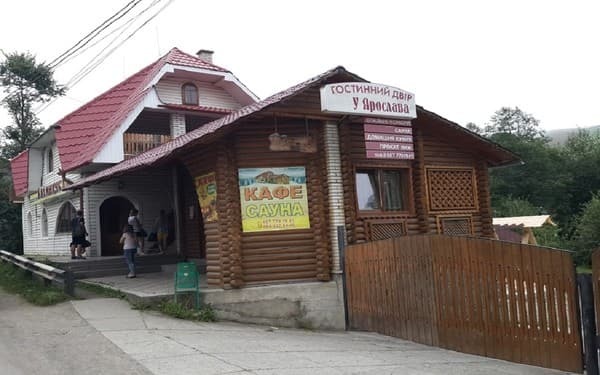 From entertainment - winter skiing in Yasinya or Dragobrat. 1000 meters there is ski tow in length 400m. In the summer - hiking, picking mushrooms and berries. For those who wish, you can arrange guided tours. 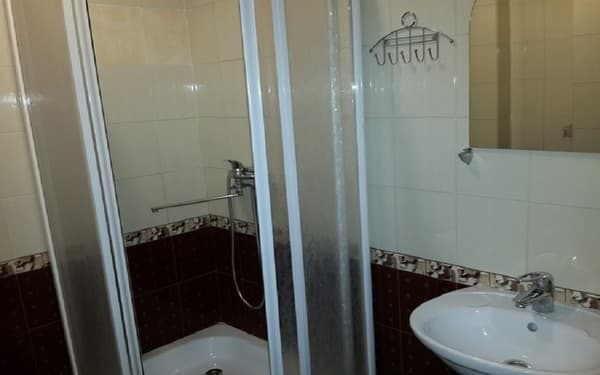 Has its own bath with a steam room and a swimming pool, a bathroom on the first floor and a lounge on the second floor. To the ski resort "Bukovel" - 7 km, "Dragobrat" - 9 km. Prices can change, you MUST check the information from the operator. 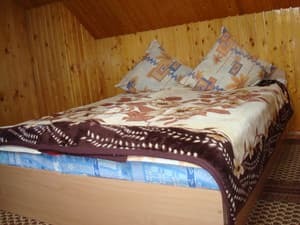 Description of the room: The room has two single beds or one double bed, cable TV, a necessary set of furniture. The bathroom is on the second floor. The price includes 2 meals a day. 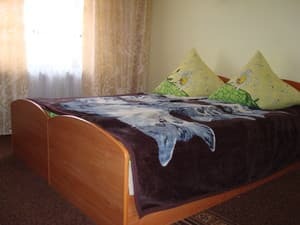 Description of the room: The room has three single beds or one double and one single bed, cable TV, a necessary set of furniture. 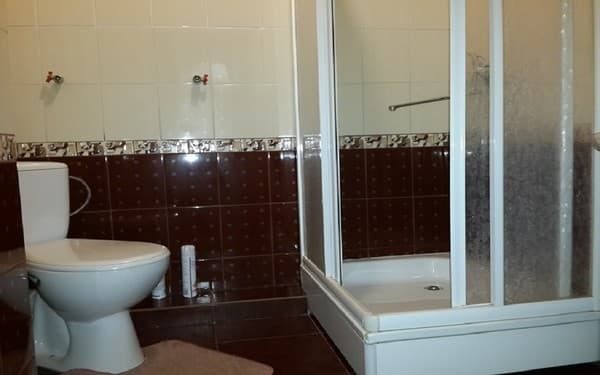 The bathroom is on the second floor. The price includes 2 meals a day. Children under 5 years are free, from 5 to 9 years - 50% of the cost, over 9 - 30% of the cost. The room rate included two meals. Private Estate "Yaroslav" is located in the village. JAsinja, 700 m from the center. Until the drag lifts in the village center 1 km. To the ski resort "Bukovel" - 7 km, "Dragobrat" - 9 km. By train to Ivano-Frankivsk, from there to Yassin by bus, bus, car or train, you can also train to the station Yassin. 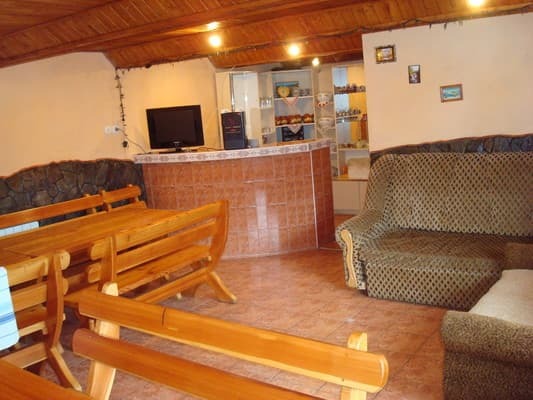 By agreement of the owners welcome guests in Ivano-Frankivsk.